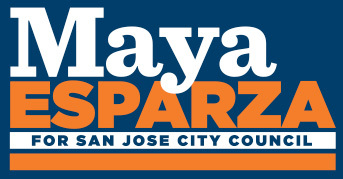 After much soul searching and community conversations, I’ve decided to run for District 7 on the San Jose City Council. I am proud to have grown up in San Jose, the daughter of teachers who believed in the power of education and the power of community to make positive changes for everyone. They made me who I am—I grew up watching them organize, speak out and help others. As a result of their example, over my life I’ve developed a track record of tackling problems and building coalitions. As a former school board member and community leader, I’ll bring a track record of getting things done for our community. At the Franklin-McKinley School District, I worked to get a new school built at Franklin Elementary School; worked to add after school programs at our neediest schools while balancing the budget; and working to improve academic achievement for all our children. District 7 is diverse, vibrant, and robust small businesses. It’s time we’re recognized for what we have to offer while offering solutions to issues that we face as a city. This is a critical time- the opportunities and challenges we’re facing now in San Jose and District 7 will decide who we are as a city and how we continue to grow. Please join me in making our community and District 7 stronger! Thank you for your support!